This article will cover the budget Android phones if you are really budget conscious and are looking for an Android. Since Android is not limited to only Google phones like the G1 or the N1, it makes it easier for manufacturers like HTC, Acer, Samsung for their phones run on Android OS. Here’s a little about Android. Android is a FOSS (Free & Open-Source Software). Being free, phones that run on Android won’t have the OS license fee tagged to it, which ultimately is billed to the end-user. Since it is Open-Source, manufacturers/operators have the freedom to customize it. Android Market, on the other hand, is a one-stop place where you find apps/games for your Android. So you don’t have to look any further. Ok, enough said, here goes the list! Samsung Galaxy Spica i5700 aka Galaxy Lite or Galaxy Portal is by far the best budget Android phone with a good value for money. Spica boasts an 800MHz processor with an internal storage of about 180MB, expandable up to 32GB with a microSD card, and a RAM of about 166MB. The display is a TFT Capacitive one with a resolution of 320×480, boasting colors of up to 16.7 million, similar to most Android devices, with a screen size of 3.2inches. So, pictures that you see on Spica will look so real, while not as real as a 480×800 pixel AMOLED display which you find on most high-end Android devices like the Desire from HTC, Google Nexus One and the likes. Camera is a 3.2 Megapixel autofocus one with geo-tagging but with NO flash, while video recording perform horribly bad like the HTC Hero and Magic. Coming to its connectivity, Spica has EDGE, 3G HSDPA and WiFi (802.11 b/g) for internet connectivity. HSDPA connects at a maximum of 3.6Mbps. Spica is equipped with A-GPS and Bluetooth 2.1 with Enhanced data rate. Spica is the first-ever Android device to proudly boast the playback of DivX/XviD videos along with other common formats like MP4, H263, H264 and WMV. While Spica was first shipped with Android 1.5 (Cupcake), it was informed that Android 2.1 (Eclair) would be made available later. As promised, Eclair (2.2) has been made available by January 2010 and devices were shipped with Eclair pre-installed after April. Users with Android 1.5 can upgrade to 2.1. Samsung is now testing the 2.2 Froyo upgrade for Spica. HTC Magic comes next to Spica and is costlier, but Spica performs a lot for the money you put in. If you are a HTC fanboy, do a quick comparison before you fall for Magic. Magic is powered by a 528MHz Qualcomm processor and has an internal memory of 512MB, expandable up to 16GB with a microSD, with a 288MB RAM. Coming to its display, it features a TFT Capacitive Touchscreen with a resolution of 320×480 similar to the Spica, but is limited to only 65K (65,000) colors. Magic has a trackball while Spica has a D-Pad. Camera is 3.15MP with autofocus, but lacks geo-tagging and Flash. Video recording performs as bad as Spica/HTC Hero. Connectivity is similar to that of Spica – except for the high speed 3G HSDPA. Magic can connect at a maximum of 7.2Mbps on HSDPA. While Spica boasts DivX playback, this phone can’t perform more than 3GP/MP4 playback like most Java phones. HTC should have concentrated on this area since we have Java phones capable of playing H263/H264 and WMV formats. 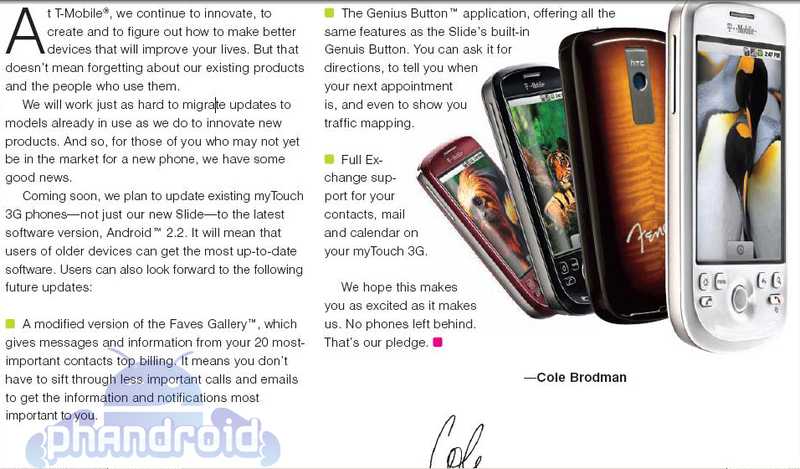 The device was first running on Android 1.5. Android 2.1 was later made available to its users. HTC officially confirms that the Froyo upgrade with NOT be made available to the phone. HTC Tattoo costs roughly the price of Spica. Small screen and resolution, resistive type, 65K colors is not what we expect on an Android device. We’ll proceed with its specs though, but this phone isn’t much recommended. If you are looking for a tiny light-weight Android, this could be an option. The device has the same CPU and internal memory as the Magic, with a 256MB RAM. Tattoo sports a TFT Resistive Touchscreen with a 240×320 display with a maximum of 65K colors and equipped with HTC’s home-made Sense UI. Camera is similar to the Magic, additionally it’s equipped with Geo-tagging. Supports video recording similar to the Magic. Connectivity is similar to the Magic – EDGE, 3G HSDPA, WiFi, A-GPS and Bluetooth. Video playback is better than the Magic. The phone’s capable of playing MP4, H263, H264 and WMV formats. HTC should’ve swapped Tattoo’s video playback capability with Magic. 240×320 display is way to small to watch WMV and H263/264 videos. Now we have an Android from the Samsung Corby family. The phone isn’t released yet, but is expected to hit the markets this June, or July. Corby has been featuring only affordable phones ever since its start. This phone will be priced much lower than the HTC Tattoo and so will its specs be. Corby i5500 is powered by a 600MHz processor and runs on Android 2.1. There’s no update on the RAM yet, but is supposed to be between 128MB to 256MB, obviously not more than that. The phone features a TFT Capacitive Touchscreen capable of displaying up to 256K colors with a resolution of 240×320. It sports a 2 Megapixel camera with Geo-tagging along with Video recording. The phone supports EDGE, 3G HSDPA at 7.2Mbps, WiFi 802.11 b/g and Bluetooth with Enhanced data rate. The phone is capable of playing MP4, H263 and H264 video formats while it doesn’t support the playback of DivX videos like the Spica. As said earlier, the device comes packed with Android 2.1 and has chances for the 2.2 upgrade. And finally a phone for all the hardware QWERTY fans! While this one looks like a molded version of Motorola Droid, it’s not a good performer since it’s limited to Android 1.5 and no further upgrades, but is quite good at other hardware features. It’s equipped with a 5 Megapixel autofocus camera with Flash. The processor has a clock-speed of 528MHz from Qualcomm, and has a RAM of 268MB. The display is a TFT Resistive Touchscreen of 320×480 resolution with 256K colors, but Android 1.5 can perform only up to 65K colors, meaning, the effective colors is only 65K. As said earlier, the phone sports a 5 Megapixel auto-focus camera with LED Flash. Be informed, Android 1.5 does not have camera settings, meaning, it’s going to be a point-and-shoot style – no scene settings, no tweaking, nothing. Additionally, there’s face-detection and beauty shot customized by LG. With regards to connectivity, it’s the same that we saw in previous phones. The phone comes packed with Android 1.5 and there has been no update provisioned by LG. Be informed, Bluetooth File Transfer is not available on Android 1.5, while it’s available on 2.1 & 2.2. Samsung Galaxy Spica is a good performer for what you shell out. Though its primary memory is only 166MB while the Magic has about 288MB, Spica’s over-powered 800MHz processor beats is quietly while Magic runs only on a 528MHz processor. The other three – HTC Tattoo, Samsung Corby, LG GW620 are nowhere near a performer. Samsung i5500 Corby could be an option if you are looking not to spend much on an Android, but don’t expect it to be a good performer. Though LG GW620 is equipped with hardware QWERTY and 5 MP camera, LG’s ‘no Android upgrade’ makes it a total fail and secondly, resistive touchscreens are not for Androids! Here’s a quick video review of Spica by GSMArena. Supplements: Guide, SAR information, etc. Hope this article would help you decide your next Android device. Expect a full in-depth review of Samsung Spica over the next few weeks.